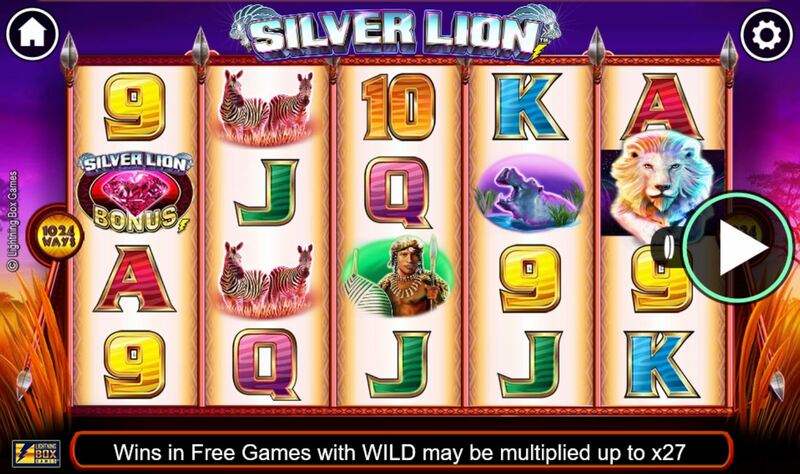 Silver Lion slot is a 1024-way game from Lightning Box and is similar to many of its Australian peers in that it features stacked animals and symbols with Wilds on reels 2, 3 and 4. 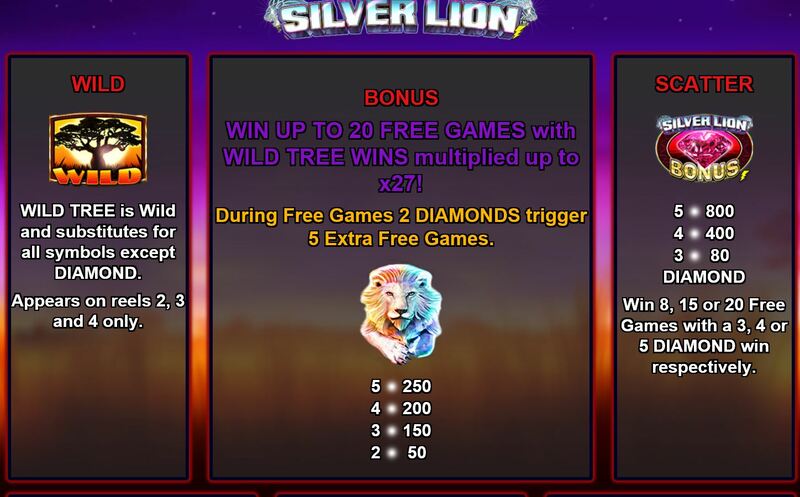 Naturally the Silver Lion is the highest-paying one. 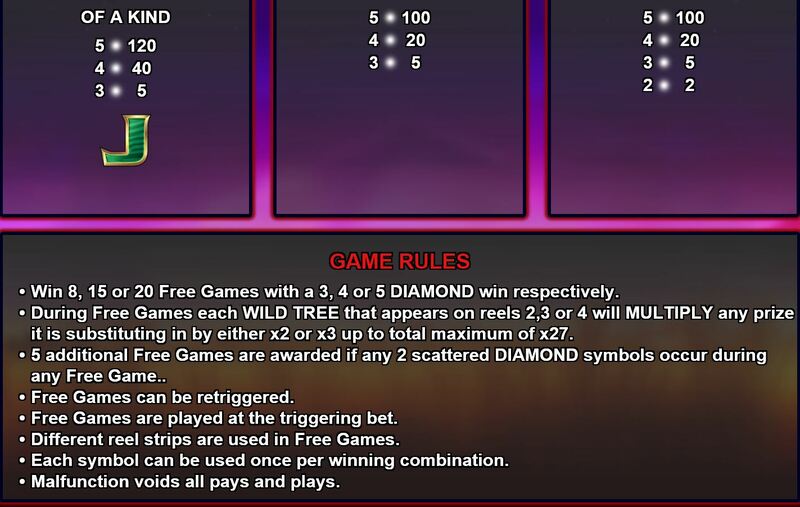 It is essentially a copy of games like Bally’s Thunderhorn, and Aristocrat’s Jaguar Mist and Buffalo slots in that when you trigger the 8 free spins with 3 or more scatters the Wilds on reels 2, 3 and 4 are awarded cumulative multipliers of 2x or 3x thus making a possible 27x multiplier on free spins wins. 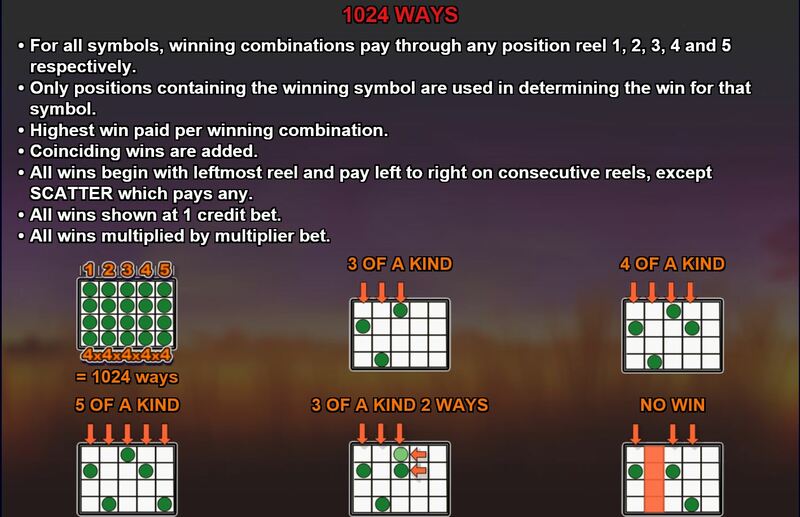 RTP is 95.27%.